LIVING FOR LOVE: WHAT MOTIVATES ADOLESCENTS? Learning & Reflections > Living for Love: What Motivates Adolescents? Adolescence is the period marked by the transition from childhood to adulthood. It begins with a biological event – the onset of puberty – and ends with a social transition where young people assume adult roles, rights and responsibilities. For many young women, becoming a mother is a key component of this important transition. From a developmental perspective, this makes perfect sense – the biological purpose of puberty is to achieve reproductive maturity. At the same time, there is clear evidence that early childbearing negatively impacts the health of mothers, babies, families and communities. In addition, many factors make it increasingly less desirable and less necessary for young women to bear children early. Increased educational opportunities allow girls to build a future that extends beyond family life. Contraceptives make it possible for young women to have positive sexual relationships outside the context of reproduction. Vaccines and efforts to improve water and food quality have led to more children surviving infancy and childhood. Economic environments have made it harder for young parents to support very large families. Urbanization has shifted the types of work girls can engage in. Collectively, these factors create a context in which girls are encouraged to wait longer to have children. However, if the primary joy a young woman is seeking in life is motherhood, within A360 we ask ourselves, what is the competing joy? Over the last 50 years, the age of onset of puberty has trended earlier. Puberty is an amazing cascade of changes in the brain and the body. The normal, adaptive changes that occur in the brain lead young people to want and enjoy the high intensity experiences involved in meeting new people, taking on new social roles, preparing to leave one’s home, creating new social relationships, and eventually parenting offspring. The adolescent brain is well adapted to tackle the new tasks and responsibilities involved in this exciting transition. At the same time that puberty is beginning earlier, the age at which adolescence ends continues to trend later. Romantic relationships, childbearing, independent living and community recognition as an adult are all being pushed later into life. As a result, adolescence – this phenomenal period when young people are physiologically primed to learn new things and engage in new experiences without having the responsibilities – is continuing to elongate. As parents, community leaders, public health practitioners, educators and policy makers, we now must challenge ourselves to think about ways to maximize this amazing period of increased capacity and autonomy before young women have all of the responsibilities associated with adulthood. If we want to effectively advocate for untangling the connection between childbearing and adulthood, we need to answer the following questions: What else do young women aspire to do with their lives? What else is special and wonderful about being a girl or a woman? What else increases their sense of personal and social self-worth? What other types of supports and opportunities do we need to create to compete with this ingrained social norm and basic biological urge? And perhaps more importantly, how can we create a competing joy that a young woman can fall in love with, be challenged by and be recognized for successfully acquiring? Simplistically, the answer has been to provide young women with educational opportunities. Unfortunately, education alone is not enough, particularly when the quality or the utility of the education is unclear. As one parent from the Oromia region of Ethiopia in the Adolescents 360 project shared, “What disturbs our minds is that many of these kids whom we send to school, many end up having neither a good marriage or a good education.” Other research reaffirms this fear and suggests that keeping girls in school, in absence of simultaneous economic development and attention to social norms around marriage and childbearing, can result in young women being worse off after they complete their schooling. This reality challenges the global health community to think in new ways about this complex problem. Within A360 we want girls to find options outside of motherhood exciting, rewarding and autonomy-enhancing. Given that one of their greatest joys and goals stems from becoming a mother, framing this goal as something to delay will always be limited in its impact. In order to maximize their adolescence, we must motivate young women to fall in love with other goals. Adults alone cannot create a competing joy, but instead must work in partnership with young women to create it. We then need to foster support from parents, community leaders and service providers to help young women get there. We need one successful generation of girls to look back on their adolescence, see something other than motherhood, and feel that it made all the difference. We need them to have discovered their competing joy. 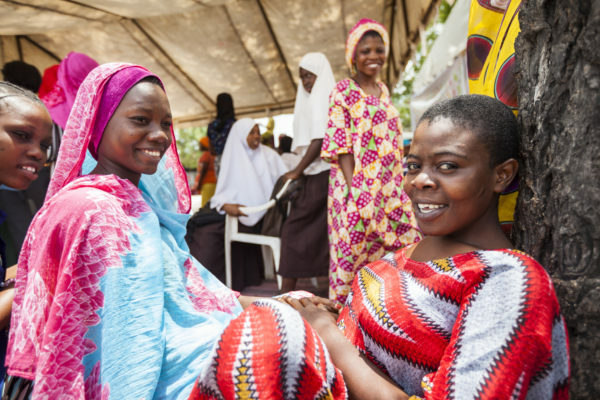 Adolescents 360 (A360) is a four-year project aimed to increase access to and uptake of voluntary modern contraception among adolescent girls (15-19 years old) in Tanzania, Ethiopia and Nigeria. The project fuses public health, marketing, human-centered design, developmental neuroscience, and cultural anthropology and will meaningfully engage young people in the design and delivery of solutions that respond to their specific and varied needs. 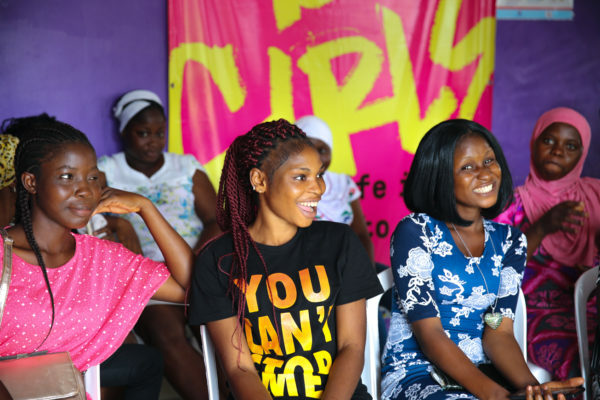 A360 is led by Population Services International, together with IDEO.org, the Center on the Developing Adolescent at the University of California Berkeley, Triggerise, and the Society for Family Health Nigeria. A360 is funded by the Bill & Melinda Gates Foundation and the Children’s Investment Fund Foundation.